Product prices and availability are accurate as of 2019-04-25 00:01:57 EDT and are subject to change. Any price and availability information displayed on http://www.amazon.com/ at the time of purchase will apply to the purchase of this product. ~ ~ ~ WE OFFER BOTH PKT. 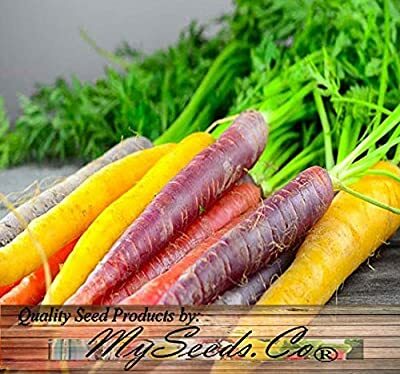 & BULK SIZES ~ ~ ~ Organic Rainbow Carrot Mix ....... 60-65 Days....... 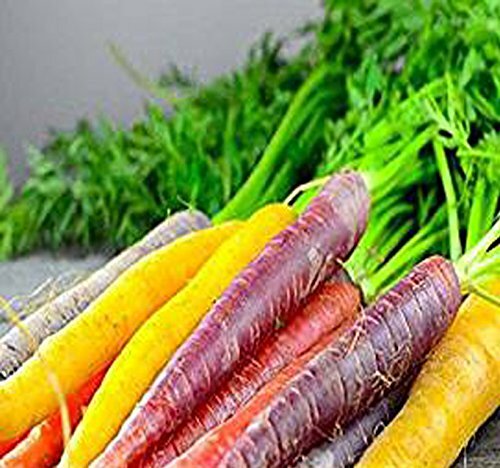 Enjoy a radiant blend of five carrot varieties; ....... Atomic Red, Bambino Orange, Cosmic Purple, Lunar White and Solar Yellow. Remove tops to prevent wilting when saving this variety for winter. 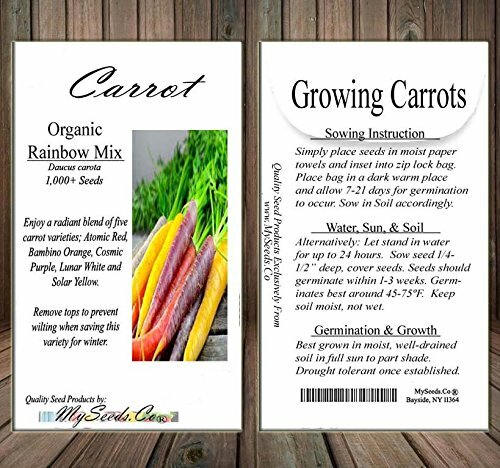 ....... Germinating Carrot Seeds: ....... 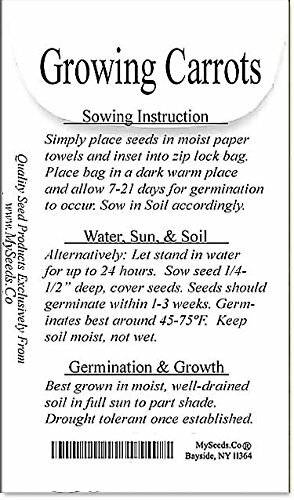 Simply place seeds in moist paper towels and inset into zip lock bag. Place bag in a dark warm place and allow 7-14 days for germination to occur. Sow in Soil accordingly. This Order = 1,000+ Seeds ~!! 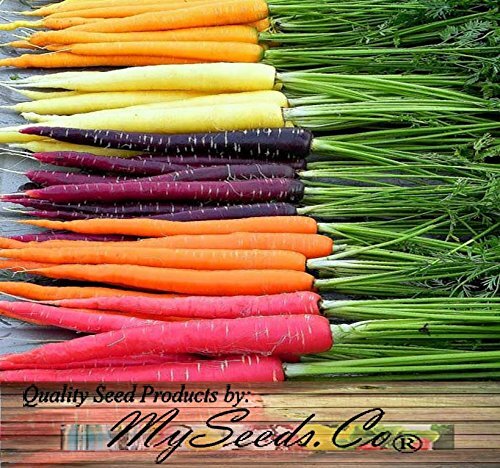 MySeeds.Co Brand - Germination Guaranteed ~!! 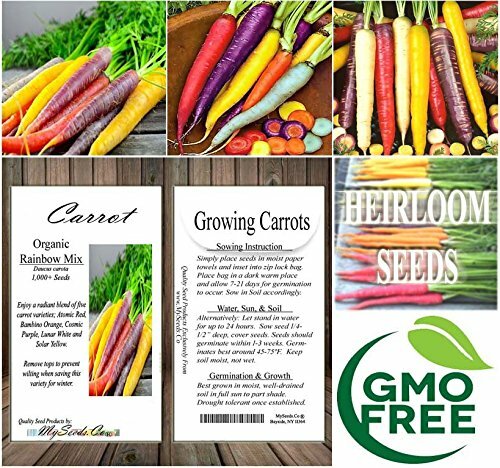 MySeeds.Co is a family owned U.S. Company. No other company on this listing is selling our seed. S&H is FREE or a Low Flat Rate ~!! See Description Below for OUR Special Offers and Product Promotions ~! !